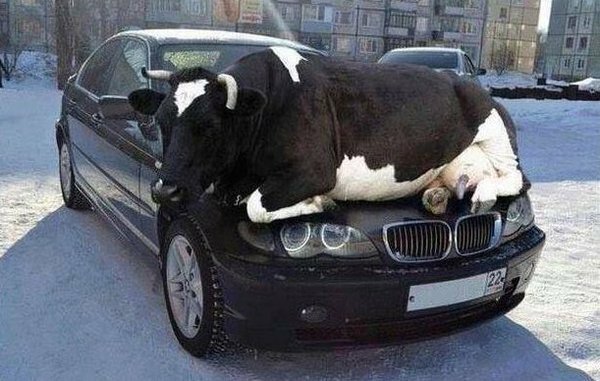 Claim: this is a photo of a cow on the hood of a car. Possibly to get some warmth. This image has been photoshopped. The front of the car would certainly look different under the weight. 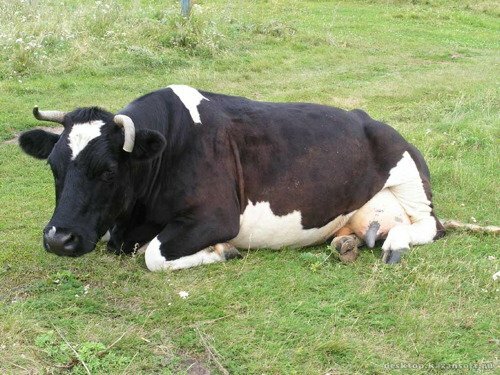 Original photo of the cow is below. Further details: Museum of Hoaxes.